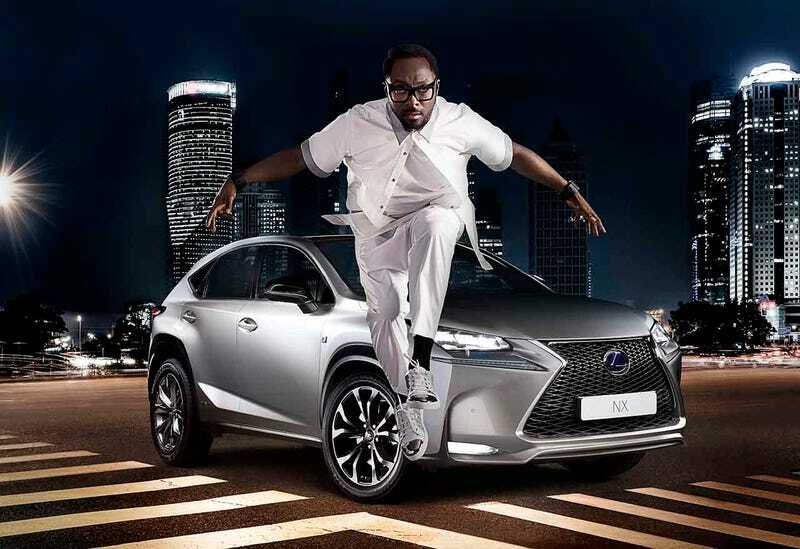 It seems will.i.am is the NX's pitchman in Europe, and as part of this they're debuting a "special one-off version" of the car at next week's Paris Motor Show. They call the car he designed "highly stylised." Maybe here's what we can take away from this: no matter how hard he tries, not even will.i.am can make the NX uglier. And that's saying something. Update: Here are the pictures of the NX he designed. It's got a widebody kit, basically. Is it uglier than a normal NX? I'd say they're about even.